Hope everyone on the East Coast is safe and sound today and know that everyone affected is in my thoughts and prayers. Today I am finally bringing some details on my new table, a project that many of you helped me with! Although I had already spent $100 on materials on a first failed attempt, I gave it another go. I had seen a pin on Pinterest where someone was able to build a new tabletop for $33, and that was my initial "Pinspiration". Despite living in a Canadian province where forestry and lumber is one of our main industries, apparently our wood at Home Depot is much more pricey than my magical friend's in Pinterestland. Again, the supplies (wood, filler, and brackets) cost over $100, but this time I had my handy father-in-law to help, so I was sure it was going to work out this time. I am so very in love with it. It doesn't have the "plank" look that I was going for the first time around, but I think the flush "butcher block" look of what we went for not only compliments the chrome base, but will also be easier to clean and maintain. I will have to get back to you with the actual construction of the table top, because, unlike some of my superbuilder blogger friends, I am admittedly not a very good furniture builder. What I did do, however, was go back to Pinterest to find a treatment I had seen back a few months ago. 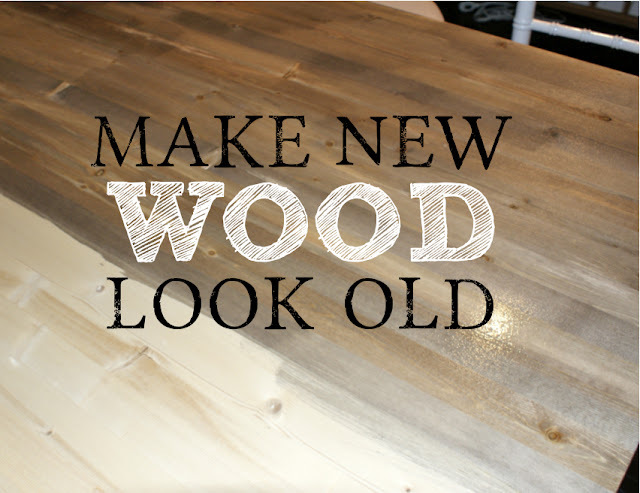 It was a process to created an aged, weathered wood stain for new wood using (mostly) household ingredients. I was happy to try it out knowing that if it didn't work, I could sand and stain or paint the table top without too much worry. I was also excited to take some sort of part in the completion of this table, albeit a small and easy task. Although I had never purchased steel wool before, I found 000 steel wool in an aisle near the paint department in Walmart. I ripped it up into little pieces, put it in a mason jar, and covered with a whole litre of white vinegar. You're supposed to let is sit for 24 hours, so during this time, I did the first "coat", which is steeped, chilled tea. I used 2 cups water and 2 earl grey tea bags. Once cooled, I painted it on. It doesn't change the colour of the untreated wood much, but is a necessary step in creating the aged wood look. Let the tea dry throroughly (which it will because you have to wait 24 hours for the steel wool/vinegar mixture), and then paint on a coat of that mixture. It's amazing how the reaction takes place before your eyes. The colour develops right away, and changes over the next day or two as it dries. I found that it went from a light grey, to a rich grey brown, to a lighter grey, and then settled on a light greyish brown. I used this treatment on a wooden wine crate, however it was 5 days later so the "solution" had a lot of time to think and react. The wine crate turned DARK brown. Like espresso brown. It was not the look I was going for, but worth it to note that if you are looking for a deeper colour, just let your wool/vinegar solution sit a bit longer. I was hoping for more grey, however I have warmed up to the warm colours in the wood. As my husband pointed out, we have a lot of "cool" in our home, and it's nice to juxtapose that with some warmth. I think, for once, he's right. The next step was to sand it a couple of times and coat with water based polyurethane which again changed the colour slightly. I will have to update with photos coming up because it's pretty gloomy out right now and I couldn't get any good photos. This may have been a day late, but gratefully linking up to The Pinterest Challenge at YHL. And make sure to check out Katie, Carmel, and Sarah to see what they've tackled for their Pinterest challenge! The Glasgow date of Lindela Figlan's UK tour - he was brought over for the London Anarchist Bookfair as a member of Abahlali baseMjondolo - the Shack Dwellers' Movement. Abahlali baseMjondolo only formed in 2005, but by using popular democracy, direct action tactics and fighting on issues directly relevant to themselves as shackdwellers this genuinely grassroots organisation has grown to be a strong and successful movement. travel costs for Lindela, with anything leftover donated to Abahlali baseMjondolo. All welcome. Abusive and oppressive behaviour will not be tolerated. BYOB for social afterwards in the new Glasgow Social Centre (GSC) space. Meeting hosted by Glasgow AFed with assistance and cooperation from other individuals. We are especially happy to be hosting Lindela in the new GSC, which is open every Tuesday and Friday evening. More details on their website linked below. Lindela Figlan was born in Flagstaff in Pondoland in 1970 what was then the Transkei bantustan. His father, a mineworker, had been a militant in the Pondo revolt of 1960. Lindela was politically active in high school and continued to be involved in politics when he moved to the shanty towns of Durban in 1998 to work as a security guard. He joined Abahlali baseMjondolo when the movement was formed in 2005. What excited him most about Abahlali baseMjondolo was the idea, on which the movement was founded, that poor people should think for themselves rather than always relying on other people to think for them. Lindela has held various elected positions in the movement and is currently its Deputy President. He has been subject to serious and ongoing intimidation as a result of his political work with Abahlali baseMjondolo. Lindela is very critical of trade unions arguing that “there to exploit. It is a double exploitation – we are exploited by the bosses at the companies and then we are also exploited by the union bosses.” His politics is based on a commitment to immediate equality. He says that: “The only thing that I believe is that all people are equal. No matter where you come from, no matter how you look, no matter how poor you are or what your gender is we are all equal. Abahlali baseMjondolo has trust in the people. The movement insists that everyone must be respected no matter who they are. That is why I joined Abahlali baseMjondolo. It is not wise to think that somebody else must think for your future. In Abahali baseMjondolo everybody is equal. I said the V word. That naughty little word, that when muttered to my family, caused looks of complete and utter horror. They looked at me as if I had just said I was leaving my husband to become a nun. Food is THAT big in my family. I have been toying with idea of going vegan for sometime now. Every time I declared to my hubby that I was going to give it a go, he pointed out the existing dairy in my current (and nearly lifelong) vegetarian diet: skim milk in my morning latte, greek yogurt in my smoothie, egg whites and feta and tzatziki in my dinner. He was right...I couldn't possible live without dairy. A couple of months passed and it still weighed on my mind. What if giving up dairy was the key to my health? I've been eating healthy, working out regularly, but I feel like I'm stuck. Maybe dairy was my roadblock? I still didn't have the guts to give it a go (and I knew the reaction I was bound to get from my family), so I just went along with my dairy-filled life as happy as could be. Cue a rainy September Sunday, when my good friend/co-worker filled me in on a few books she was reading that promoted plant-based diets. She was going to go vegan for 6 weeks, and I figured this was my cue. What better time to try it than with someone I spend 5 days a week with- someone whom I share more meals and snacks with than my husband! We both started the very next day, and had one another to root each other on, which certainly made it easier. I committed myself to 30 days, and made it through with only one slip up that involved phyllo pastry, tomatoes, basil and cheese on day 28. It has now been 5 weeks since I cut out all dairy and animal products (less the one night I cheated), and I am here to say, I'm going to stick with it for the long haul. 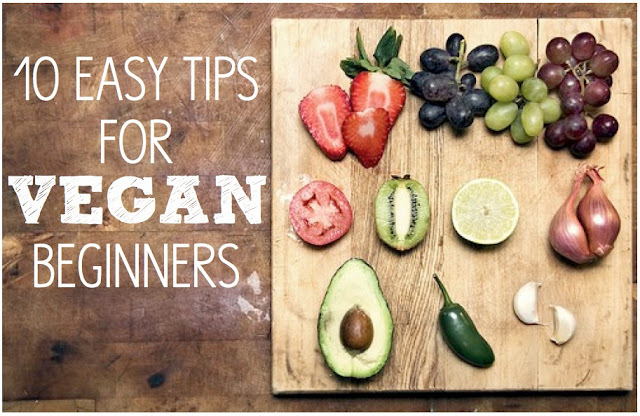 If you are considering being vegan, these are merely just suggestions based on my own experiences (clearly, I'm not an expert after a month, but might help some "veginners"). Please consult a medical professional before changing your diet drastically! 1.) Milk Subs. If you like to drink milk cold, Rice Milk + Almond Milk = best tasting milk replacement for a cold glass of milk. If you drink lattes, I learned the hard way that it does not translate well into steamed milk. Yuck! Soy Milk is the only yummy milk for lattes I've tried so far, however I have yet to try hemp milk (coconut was not my fave). 2.) Even if you are not a fan of tofu, it can be used in many ways you never thought possible. Blend silken tofu for many baking recipes and you won't even know it's there. My favourite recipe I discovered my first week is what I now call Tofeta. Cube some extra firm tofu and toss in a marinade of red wine vinegar, olive oil, herbs and salt and let sit for at least an hour. The resulting taste is quite feta-ish and even the texture is close. Of course, it won't melt and it's not the exact same thing as feta, but it does trick your brain a little and beefs up your salads. 3.) 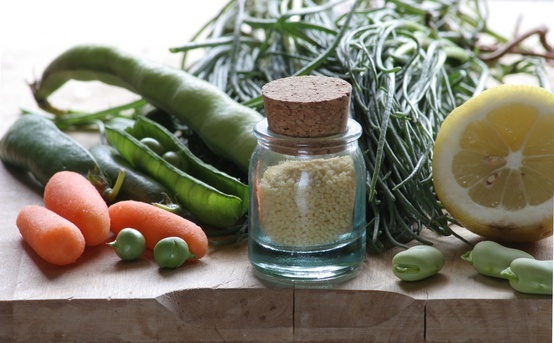 Nutritional Yeast. I had never ever heard of this product before, but once I started my vegan kick I read a few blogs that mentioned it. When I spotted it in a bulk foods bin, I bought some and decided to try it with a roasted chickpea recipe. Oh. Em. Gee. 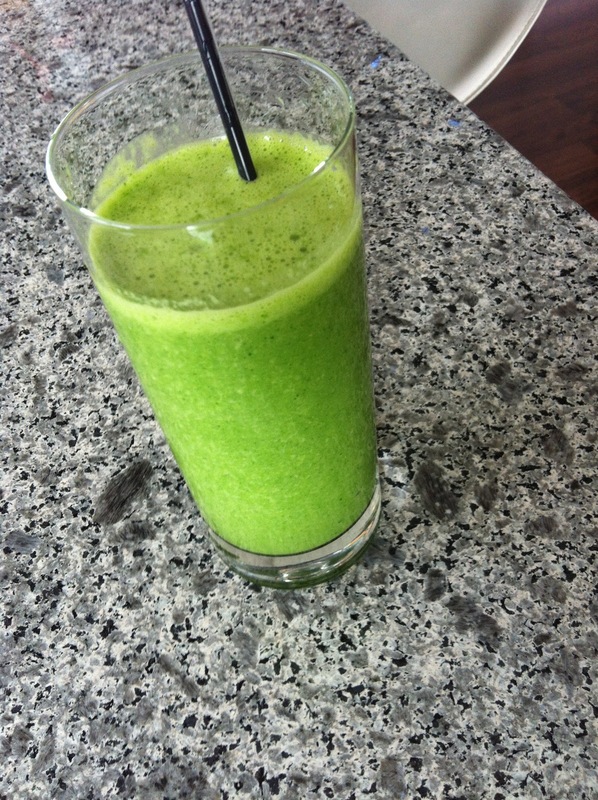 Sooo yummy. I still don't know quite what it is, but it is tasty! Looks A LOT like flaked goldfish food. Don't let that deter you. You can also sprinkle on salads or popcorn, and there are quite a few "cheesy" sauce recipes out there that use nutritional yeast. 4.) 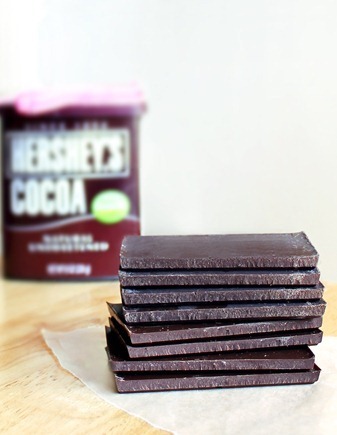 3 Ingredient Vegan Chocolate. My one vice is chocolate. I luuuurve it, especially around that time of the month. Most commercial chocolate contains milk solids. Most vegan chocolates are expensive. So, why not make your own? I LOVE Chocolate Covered Katie's blog, and when I found this recipe for making your own chocolate bars, I just had to try. How have I never known that you can make delicious dark chocolate bars at home for a fraction of the price with healthier, fewer ingredients? You can even cut them up after into chocolate chips, or melt it for a nice little fondue to dip your fruit in. Why oh why world did I not know this before? And thank you CCK for enlightening me! 4. ) This tip has helped me stick to my vegan kick without much trouble. The trick is: fill up with oatmeal and smoothies! I find between my smoothie, my overnight oats, and my fruit and big salads, I am too full to actually crave anything else. 5.) Don't try to make everything taste un-vegan. My first day vegan, I went to a pizza party for my brother's birthday. I decided to try and make a vegan pizza, so I used tomato sauce on a whole grain tortilla topped with a few veg and vegan Daiya cheese. YUCK! Vegan cheese does not replicate dairy cheese. It melts, it's sort of orange, but it doesn't taste anything like real cheese. Was it the cheese's fault? Nope. It was mine. I tried to make something taste like something else. As I was eating it, all I could think is, if only I had loaded this with more veggies and only a sprinkle of the Daiya cheese, this would be so much more enjoyable. And it's the truth. I'd have rather just eaten a full on veggie pizza, sans cheese. So don't try to recreate, just make an altered version with anticipated different results. 6. Be creative. You will be amazed at the amount of foods out there that are actually vegan, but beyond that, the kinds of foods and treats you can make that are vegan. I had so much fun playing around with different recipes and ideas (perhaps a little too much fun!). 7. Beans beans, the magical fruit! Lol. I've been eating beans for so long, that the song DOES not end "that way" for me, fortunately! I did, however, kick up my bean intake a bunch. One thing I've learned through this whole vegan thing is to try and use as many sources as possible. Don't just eat carrots for your vegetables. Have a huge variety everyday, and same goes for beans. I like to have 3 different kinds on the go (eg. black beans, garbanzo beans, lima beans), and I can toss some in a salad, eat as a snack, purree as a spread/dip, or stir into a stew at a moments notice. 8. Make sure to supplement. Because I'm not a fully educated vegan, I didn't want to risk ruining my health by depelting my body of necessary nutrients (to be honest, I have been terrible taking vitamins as a vegetarian, but this has helped me get motivated to take a daily). 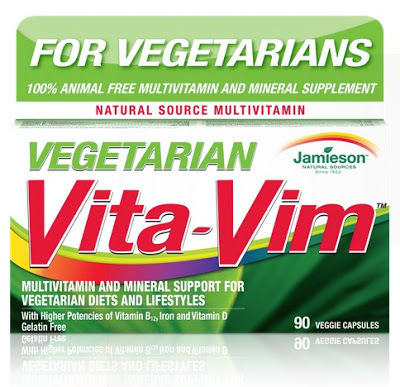 I found one called Vita-Vim made specifically for veggies so that you get your recommended B12 and other essential nutrients you could be lacking if you aren't sure you're getting a well rounded plant-based diet. It's totally worth it. 9. Preparation is key. If you have nothing to snack on, or to pack for lunch in a pinch, you are likely to make poor choices based on pure hunger and lack of time. I use my days off (non-consecutive which works for this) to prep my food for the week. I usually make a big batch of stew or veggie chili for the week, and cook some dried beans and make a salad base. I also make my own salad dressing (one I love right now is just nuts, frozen mango chunks, basil, salt and pepper in my Nutribullet). 10. Educate yourself. If you're already considering going vegan, be it for a short while or forever, your interest is hopefully piqued by some cold hard facts and not just the fact that it seems to be a "fad". I will share more on this topic in the future, but to give you somewhere to start, please go and visit my newest online obsession (and virtual wannabe bff Dr. Greger) over at Nutrition Facts. NutritionFacts.org is a not for profit website bringing you the latest in nutrition data and research in short, easy to digest videos. I dare you to watch just one. I started watching and about 4 hours later, I decided I wish I had gone to school to be a nutritionist and not an economist (which I didn't end up becoming anyways), because it is just that fascinating. The more I learn about nutrition, the more I want to follow my vegan plan faithfully. Anyone else vegan, or thinking about giving it a go? I would love to hear any tips or advice you would be willing to share! I SCREAM, FOR ICE CREAM. As the holidays draw closer and the weather heats up - I like having my comfortable summer outfit options sorted. Care free outfits that can just be thrown on with out a second thought, ready for a picnic in the park, a day at the beach or a weekend home chilling out with friends and family. This summer you won't find me with out my NY yankees cap (a gift from a friend! 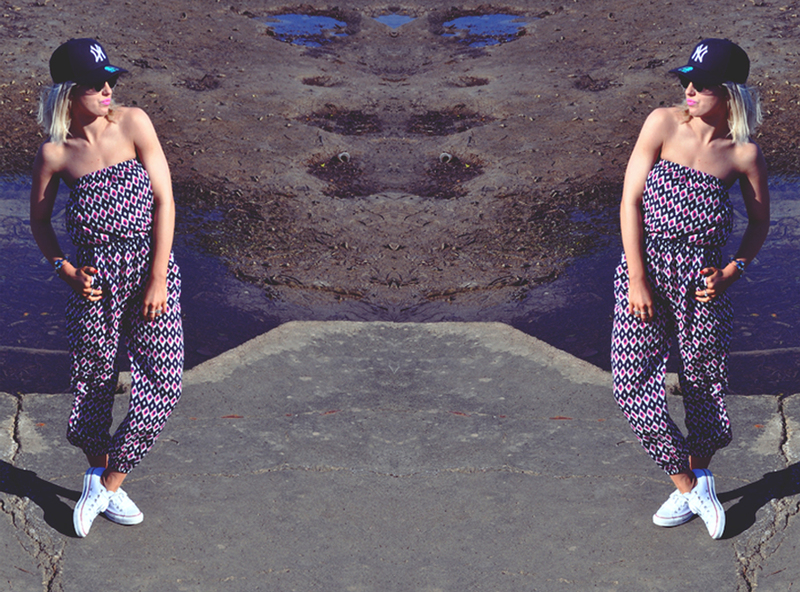 ), white Converse or a unique pair of sunglasses, all which tie in perfectly with my Haji Hottie jumpsuit in Ikat by Vamastyle. Some soon to be more organized WINNERS! It's time to announce the 2 lucky winners of our Organizing Giveaway! Congratulations Linda! Katie will be in touch with you to help personalize and order your tote! Congrats Lo! 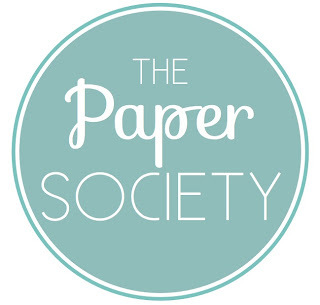 Send me an email at thepapersociety@gmail.com to go about getting me your list and selecting your label style! And lastly, as a HUGE thanks to all of you who entered and those who read my random blog posts, well, I want to thank you with 20% off any item in my shop until November 15th. Enter code SOCIALHOME at checkout for an instant 20% savings. Note, if you're buying labels, you don't have to get them customized immediately after buying- you can buy now and order later whenever you decide to send me your list! I can also do gift certificates if you want to give them as a gift! And, while you're at it, get some other Christmas shopping crossed off your list and go visit Katie over at ThirtyOne. You still have a few more days to get in on the October special, which is 50% off one of 5 tote bags for every $31 you spend! Thanks again Katie for the awesome prize, and to everyone who entered! 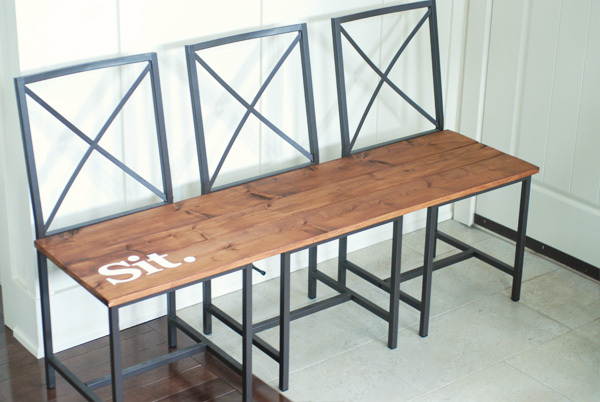 You know I love me an easy, inexpensive DIY, and in particular, ones that result in a funky bench. This one takes the cake for me. Three Ikea chairs. Wood. Stain. Stencil. Voila! If you aren't already a follower of the very popular Mini Manor blog, then you need to head over right NOW! Don't wait! Not only is Ashli a Martha Stewart -furniture building-recipe making genius, but she's also a fellow Canadian (more specially, British Columbian) blogger. And anyone who can make a bench like this deserves some love! A little bit chuffed with my interview for The White Apartment. If you want to know what I get up to when I'm not blogging (not that I have been doing a lot of that lately), then head over to the The White Apartment for a geez. A fabulous new lifestyle website with plenty of reading to keep you entertained week in week out. I made mention of an awesome giveaway in my 500K post, and well, here it is! I think you'll be just as giddy about it as I am! First things first, this giveaway is brought to you by one of you! That's right! One of my fabulous readers is teaming up with me and I think you're going to like her. Her name is Katie, and she is a Thirty One consultant. I had never heard of Thirty One before Katie let me in on the scoop. Let's just say this fantastic company of personalized organizing solutions is seriously after my own heart. Urm, organizing and personalization? That's ma JAM! And although I've been to many a "home party", I've never actually hosted one, so I figured why not take this opportunity to host my very first one while we're at it! Ok, ok, before I get you all the details, let's learn about the giveaway! Katie is graciously offering up A SUPER DEE DUPER ORGANIZING TOTE (ok, it's actually called the Super Organizing Tote). It comes in 4 pattern-ways, and if you ask me, this is the PERFECT baby shower gift. Who doesn't have a baby shower to go to every month? I know it's not just me! Anyways, can you imagine personalizing this bag with the baby's name and then stuffing full of diapers and baby products? Let's just say you would win the best-ever-shower-present-giver award for a lifetime. Or just keep it for yourself, because there are about 1001 things you could use it for. 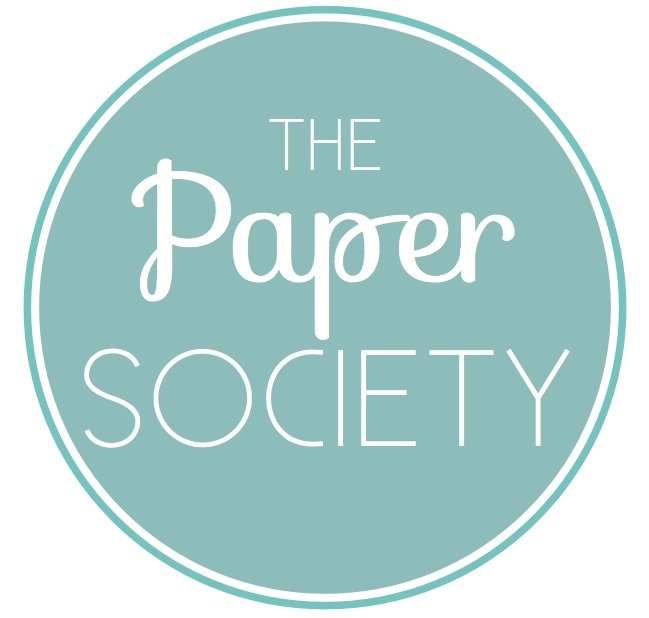 In addition to that, the runner up will receive $50 worth of customized labels* for whatever your little heart desires from my shop, The Paper Society. That's one heckuva lot of labels! And then leave a comment to say that you liked all 3 pages and let us know where you're from! Now THAT is a craft room! If you want to do some shopping for your own magical Thirty One pieces, shop my party HERE. Better yet, get your Christmas shopping out of the way! Brilliant idea and way less stress come December. For orders this October, for every $31 you spend, you can get a Retro Metro Bag, an Elite Retro Metro Bag, a Retro Metro Tote, and Organizing Utility Tote, or a Super Organizing Tote for 50% off. Woop woop! 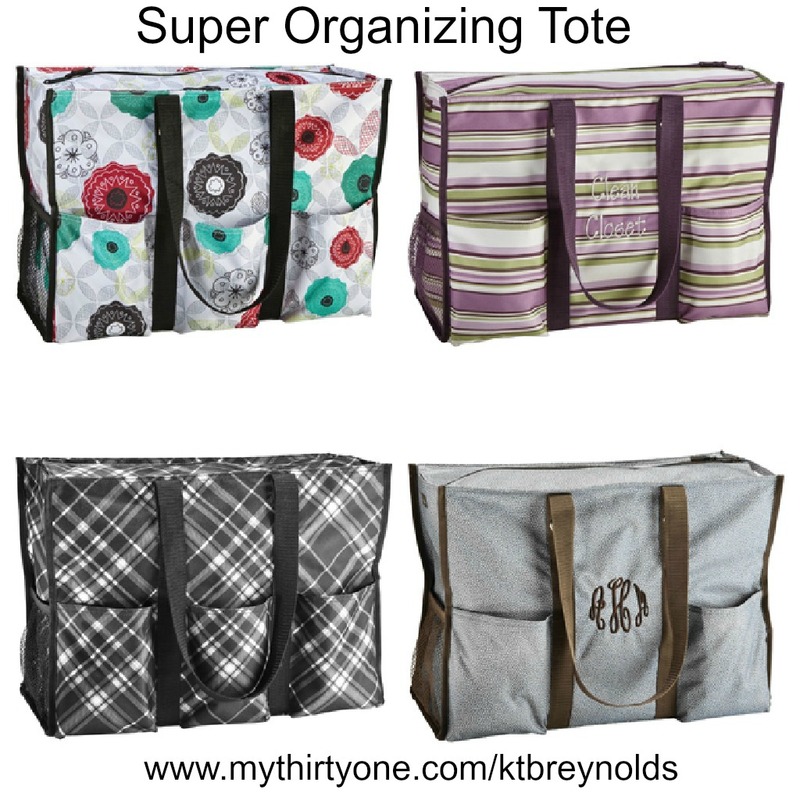 Unfortunately ThirtyOne only ships to the USA, so unless you're like me and live in a border town with a US postal address you can use, the Thirty One giveaway will only be open to US mailboxes. If you live in the lower mainland of BC, Canada, I can probably figure out a way to get the prize to you if you win and don't have a US mail box. The $50 credit towards labels is open worldwide! 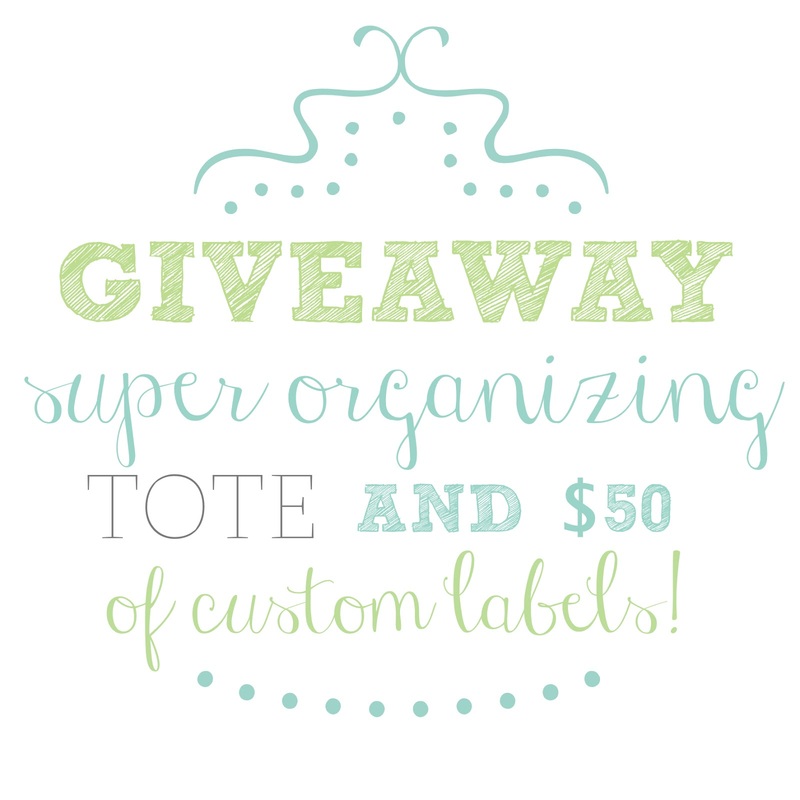 Just make sure to email me if you win, and I'll send you the details regarding ordering your custom labels. *The $50 is only towards digital, custom labels and not printed labels or accessories. Contest is open until next Friday, October 26th! The party is on for all of October! 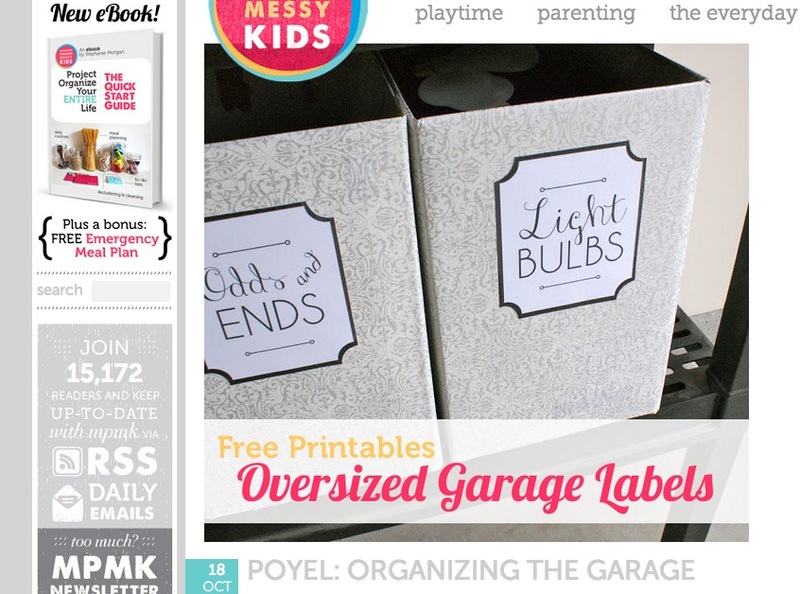 I am sharing the cheapest garage storage you will ever find over at Modern Parents Messy Kids! Oh, and free printables too! :) Check it out here. When Sara contacted me offering to write a guest post, I figured, hey, why not? I clearly have issues converting my photos and finished projects into blog posts in a timely enough manner, so I could certainly use the help! Plus, sometimes it's nice to hear someone else's voice other than my own, no? Well, either way, I'm happy to have Sara here today to break down some useful tips! Many of these great ideas can be found on Pinterest, but I love how they are all summed up here in a nice, neat little package with a bow on top. I added in some of my favourite photos that nicely illustrate each one, some with links to tutorials so you can DIY. Hope you enjoy! 1. Shop garage sales and consignment stores. You would be amazed at how many quality pieces of furniture people sell at garage sales, in consignment stores, and on websites like Craigslist.com. It takes a little extra time to visit different shops and sales and browse through different listings, but finding the exact piece you wanted for a fraction of the price makes the extra time spent looking completely worth it. 2. Repurpose old furniture. 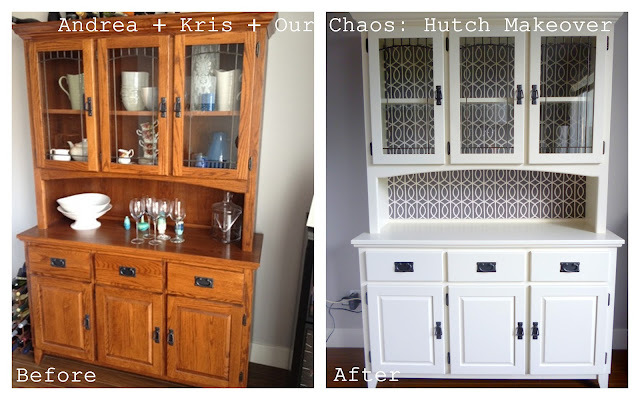 Sometimes old furniture just needs a little TLC to give it a brand new look. If you have an old wooden piece of furniture then try sanding it down and giving it a fresh coat of paint or distressing the wood to give it a fresh new look. 3. Choose a splurge piece. 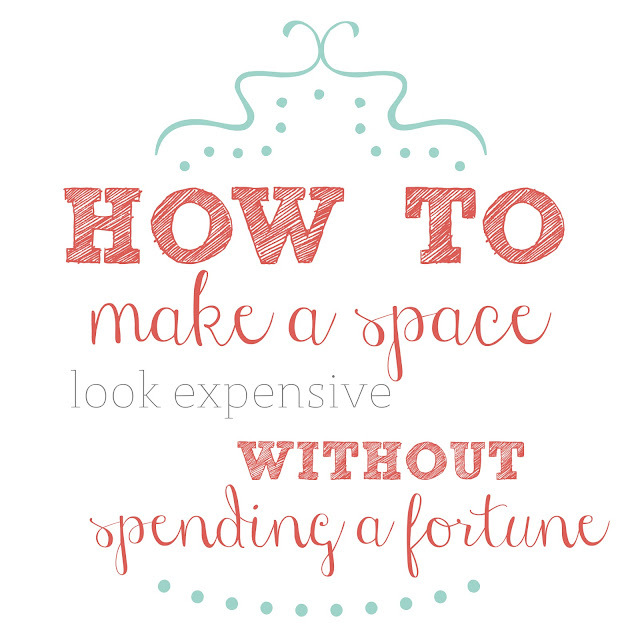 Try to include one splurge piece in each room to give the room a more expensive feel. The piece that you choose to splurge on should be something that you absolutely love and that is timeless. This way, you’re much more likely to keep the piece for years and years to come, making it worth the investment. 4. Reupholster chairs and couches. A lot of people think that they need new couches or chairs when really all they need is some new fabric to reupholster the pieces with. Buying a new set of couches or chairs is pricey, but recovering seat covers and pillows is a much cheaper option that will breathe new life into the pieces. 5. Add feet to couches. Adding feet to couches, ottomans, and other pieces that sit on the ground gives them a more expensive feel at a minimal cost, and can change the whole look of the furniture. 6. Stain cabinets. Buying a whole new set of kitchen cabinets will set you back hundreds, if not thousands of dollars, and isn’t always practical or in the budget. Instead try painting or staining the cabinets a different color. The new color will completely change the feel and tone of the room, and is a much less labor and cost intensive process. 7. Replace knobs. Cheap knobs on furniture are immediately telling that a piece is of lower quality. By replacing the knobs on cabinets and drawers and the door knobs throughout the house with more expensive looking ones you can achieve the feel of luxury at a minimal cost. Giving a room an expensive feel doesn’t have to mean spending a small fortune redecorating. Instead you need to choose pieces to splurge on and save on everything else by shopping sales, repurposing furniture, repainting cabinets, replacing knobs around the house, and adding expensive touches – like feet to furniture – instead of completely throwing everything out and starting from scratch. When Mina Nawe joined the Thesis creative family: it was never anticipated for what was coming in SA street culture! Computa; head designer & creator of Mina Nawe(me & you) was part of the rebranding to Thesis Lifestyle earlier this year. Revamped the store & made it look like something that just came out of a Wallpaper magazine. Minimal & has a fresh outlook on the use of ply wood. Still keeping the raw, street element of Thesis Lifestyle. He is a lover of wood & hardwork. He's a very inspiring individual. street cultured & very motivated.